The overpriced iPhone for the masses! As we got our hands on the device everything changed. What felt like compromises on the first glance, felt like a well thought out design decision or some appropriate cost-cutting measure. We will delve into all those points in great detail along with giving a proper explanation of why the iPhone XR is the iPhone to buy for most people this year! Heck, even I might save for and buy one in some time! So instead of ranting about the specifications in this iPhone XR Review of ours let’s first address the main pain points. iPhone XR Review: Lack of Stainless Steel i.e. Aluminium Build. iPhone XR review: It’s not a handy phone. iPhone XR review: No bigger storage options and waterproofing. iPhone XR review: No3D touch on the iPhone XR. A lot of people complain about this and yes stainless steel feels a lot more premium than Aluminium based design, irrespective of the quality of aluminium used. But there’s an upside to using Aluminium. It makes the smartphone lightweight and hence easier to use for a longer period of time while holding it up. And if you are someone who uses a case on their phone for protection then the lightweight design would appeal to you more. The different colour options that are available also make for a compelling design choice. One of the major things to hate about the iPhone XR is the fact that it doesn’t come with an OLED display. People consider a $749 smartphone without an OLED display to be non-justifiable. In terms of PPI, it’s around 326 which is what Apple calls as a Retina display. It’s the same PPI as the iPhone 4. But don’t let that fool you. Let’s talk about the actual RGB resolution. Here’s a detailed video from Rene Ritchie which shows how the XR has an almost good enough display compared to the XS Max. Honestly, we used this phone quite up close and the difference can’t be seen from your eyes. This phone comes with one of the best LCD panels out there and they can easily put some of the budget OLED screens to shame with their colour accuracy and range. 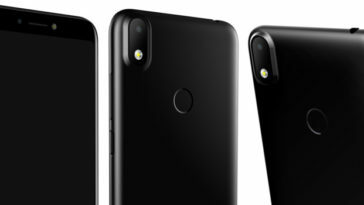 The iPhone XR lacks support for Gigabit LTE which is seen on the XS and the XS Max. Honestly, it’s not much of an issue with the current networks and their state but if you are someone who’s gonna use this phone for long then it might bother you in the future. The iPhone XR supports only up to LTE advanced. This means that you will get speeds only up to 100 Megabits on an LTE network. One of the additional cost-cutting measures that have been taken on the iPhone XR includes the omission of a telephoto lens for portrait shots. The iPhone XR generates portrait shots much like the Google Pixel smartphones i.e. via software. They have somehow also limited the portrait mode to human only subjects as of for now. This might improve in the near future with a software update but doesn’t seem likely anytime in the near future. There are some additional challenges and benefits because of a single lens setup. The single wide-angle lens ensures that it’s the one being used all the time and thus compared to the portrait lens it generates better low light shots. Honestly, the iPhone XS/XS Max also should come with the option to choose which lens to use for shooting portraits. The iPhone XS at 5.8 inches is a big phone but it’s the handiest option amongst the current generation of iPhones. The XR sits at 6.1 inches and is slightly bigger and definitely requires more effort in handling. It’s not a phone we would recommend to someone with small hands. The iPhone XR is also a little bit heftier than the XS so users who are really concerned about the ease of using their phone won’t like the bulk. The iPhone XR only comes with a maximum storage option of up to 256 GB. It is not IP-68 rather it’s rated at IP-67 which means it’s water and dust resistant but not completely waterproof. A lot of iPhone users never used 3d touch. But if you are someone who uses it on a daily basis then it’s a feature that you will miss out on if you buy the iPhone XR. All in all the US pricing for the iPhone XR at $749 is a great one. It does feel costly but at the same time delivers a lot of what people loved the original iPhone X for. There are little compromises here and there but still, it’s a solid iPhone experience and anyone upgrading from anything previous to the iPhone X would feel a world of difference. Considering the fact that you get a better battery life, around 8 hours of screen on time and a great iPhone experience makes the deal good enough for a lot of people. In the end, it all boils down to whether you are somebody willing to spend that much money in the Apple ecosystem or not. This is really an amazing phone. I must say, this is one of the best mobile phone from all the series.